The BBC plans to cut its online spending by a quarter and merge the World Service with BBC News in 2014 as part of cost cutting measures, director general Mark Thompson said in an interview with the Media Guardian. According to a report by the Guardian, Thompson said he aims to save half a billion pounds a year “to ensure the public broadcaster can function within the terms of its recently agreed licence fee settlement”. In an interview with Media Guardian, Thompson said he expects to make efficiency savings of £330m a year by slashing overheads – including cutting the cost of licence fee collection and targeting evaders of the £145.50 household levy. The BBC will also cut a quarter from its online spending – currently running at £200m a year – and make unspecified but significant savings by merging the World Service with BBC News in 2014 because “however well-resourced the BBC is, we cannot afford to run two global news operations”. This entry was posted in Broadcasting, Business, Editors' pick and tagged BBC, bbc cuts, cost cutting, foreign news, global news, guardian, licence fee, savings on December 6, 2010 by Rachel Bartlett. The Financial Times has seen archive documents relating to the BBC that undermine the corporation’s ‘historical’ argument against recent proposals to top-slice the licence fee. This entry was posted in Broadcasting, Editors' pick and tagged BB, BBC, Ben Fenton, licence fee, The Financial Times, top-slicing on July 20, 2009 by Laura Oliver. Peter Preston proposes an internet licence fee to aid ailing newspapers and the BBC – both of which face challenges in the multi-platform, free content world. “Split the licence in two. Lump conventional TV and radio into one package that, until a few years ago, would have been the only package around. Then create a second fee package for cyberspace,” writes Preston. This entry was posted in Broadcasting, Editors' pick, Newspapers and tagged BBC, internet licence fee, licence fee, peter preston on April 20, 2009 by Laura Oliver. 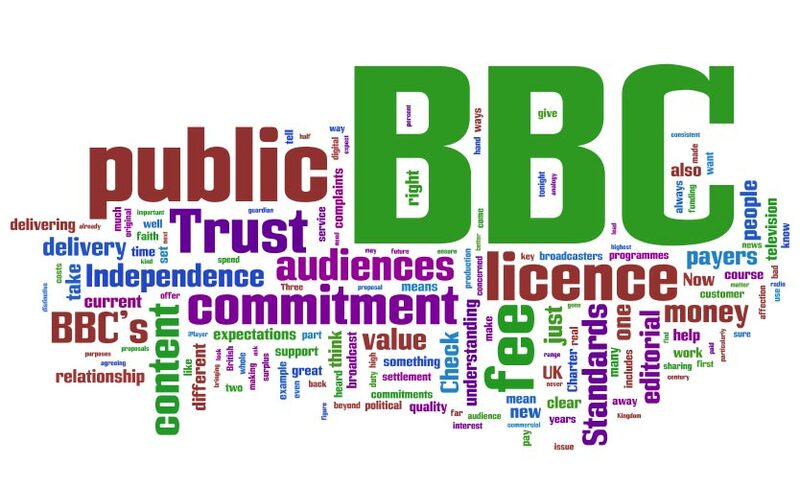 An Ipsos Mori poll conducted by MediaGuardian suggests that 37 per cent of the public do not feel the licence fee is an ‘appropriate’ funding structure and 47 per cent do not think it is ‘good value for money’. This entry was posted in Editors' pick and tagged BBC, licence fee, television on August 18, 2008 by Laura Oliver.